Through our contacts we have created a network not only in national but also in international level that supports our cause and allows us to generate new ideas on how to continue our mission providing our services to humanity. Our organization is leading a profound transformation in Australia, Canada, Japan, UK and USA. Our commitment is to stand firm in our actions, which we believe will provide results and positive changes in our nation with international support. To achieve this, we have a team of leaders and visionaries who every day make possible the transformation we want. Besides these leaders, support our allies are essential to ensure the continuity of our actions. 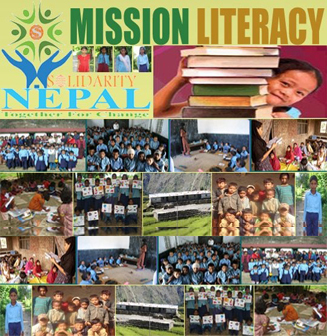 Also have a very well structured volunteer program, which welcomes people of all ages, sexes, vocational and educational levels, who wish to be linked to the social impact actions we take, as part of the core activities of the organization. 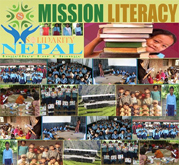 Since Solidarity Nepal has attracted community leaders from all walks of life and from different countries to join as members by signing the Solidarity Agreement, either signing through our website or through our training and events. 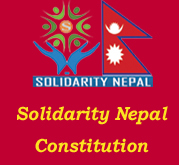 In order to facilitate our work with members, Solidarity Nepal has established committeess in different countries under the leadership of Country Representatives. We are greatful to these leaders who donate their time, skill and talents. It is our hope that by use of Internet technologies, our committees will share best practises and knowledge and help spread Solidarity Nepal further and in better way as we grow in to the future. Keep visiting the site for more updates.